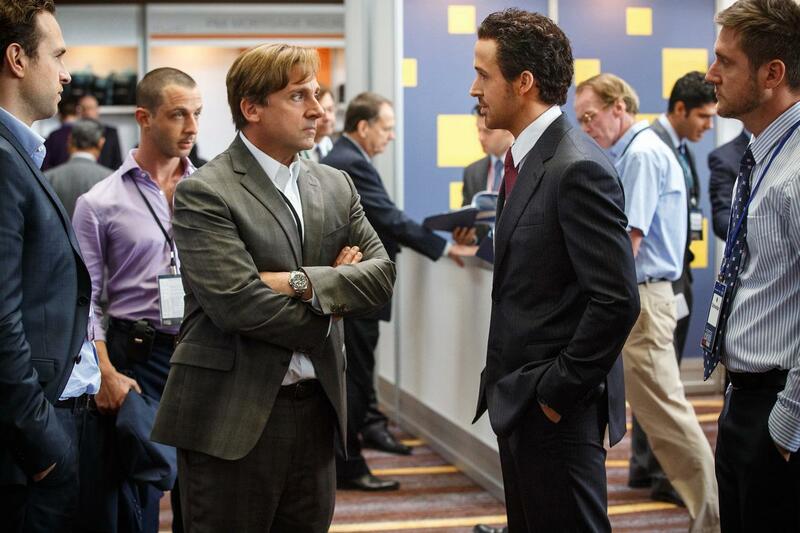 THE BIG SHORT OPENS IN MALAYSIA ON THE 7th OF JANUARY BUT FOR THE REST OF THE WORLD FIND OUT HERE! Okay, so most times whenever you hear a movie that's about the economy or Wall Street it's usually about a single person who despite all odds manages to overcome whatever barriers to make it big, usually by less than ethical means and also usually by stepping over people along the way including over loved ones. At the end the main character will get his comeuppance or realize what he's done is wrong and then tries to right them before the movie ends. This movie isn't about a single person. None of the human characters are the bad guys. The bad guy in this movie is an institutional problem. So this movie takes place a year or so I guess before the financial crisis of 2007-08 and follows first how a Dr Micheal Burry M.D. 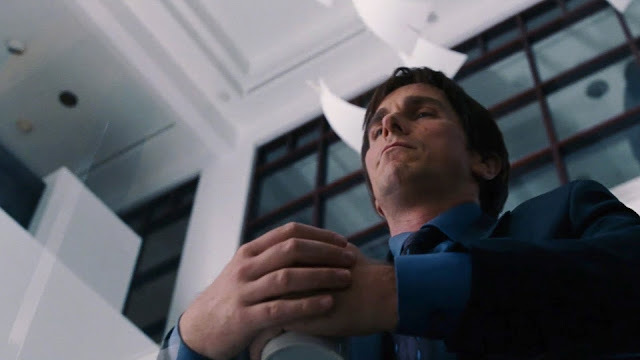 played by Christian Bale, discovers that there might just be a problem with how banks handle mortgages and when he figured out what it was he also figured that he could stand to make a lot of money betting against what the banking institutions believed to be a solid moneymaking scheme. 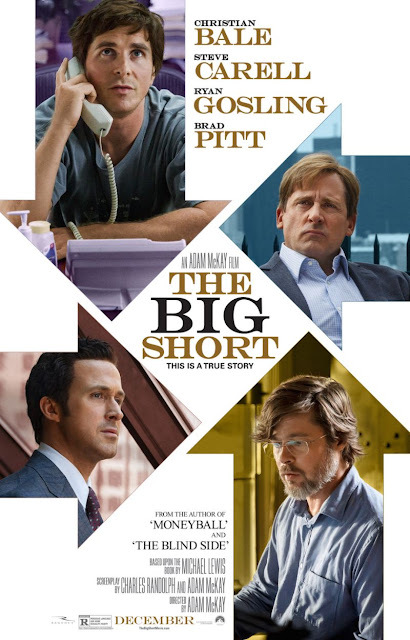 As Dr Burry goes about his business of meeting those huge investment banks to offer them money for something they believe is a waste of money his unusual agenda arrives at ear of a Jared Vennett (Ryan Gosling) a trader at one of the banks he's come to meet. Jared looks up the details of what Burry wants and believes that Burry may be right. 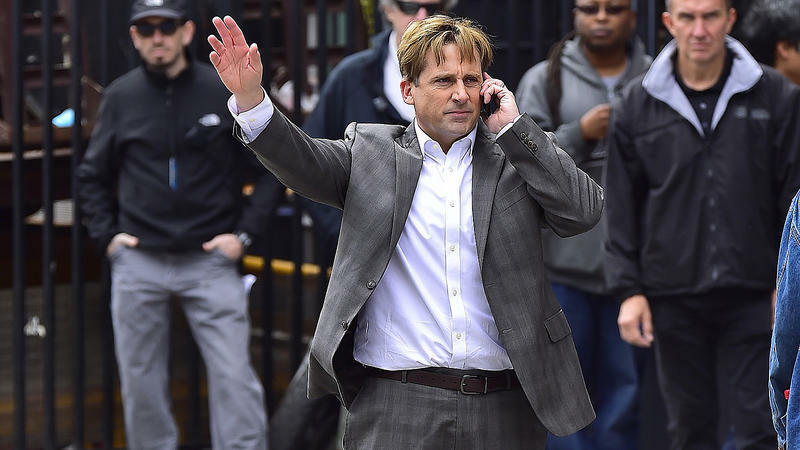 Meanwhile a strange providence happens when Jared accidentally calls up the wrong office and instead alerts Mark Baum (Steve Carell) and his small team of hedge fund managers on a strange problem with the current system. Curious Mark calls Jared for a meeting where he learns of the disturbing problem and the way that Jared and he can profit from it. Meanwhile at about the same time to young investors looking to play with the big boys arrive in town. They meet with the banks but get turned down but at the last meeting, after being turned down, while lamenting their luck and looking at all the other proposals left behind by disappointed suitors they happen to pick up Dr Burry's proposal. Intrigued by it and believing it has merits Charlie Geller (John Magaro) and Jamie Shipley (Finn Wittrock) approach an old friend who used to work with one of the major banks for help, Ben Rickert (Brad Pitt) looks into what they tell him and agree that they can profit from in. What happens then is that we the audience watch how Dr Burry goes through the motions of meeting the banks, trying to convince his boss that what he's doing isn't insane, goes through the motions when his predictions haven't come through yet and having to answer his boss on why he's made such a crazy deal. We watch how Jared tries to convince Baum and his team that what he's proposing isn't lunacy, watch Baum and his team go around the US finding out the truth behind the real estate industry and the mortgages and loans supposedly paying for it and meeting Jared in Las Vegas to meet with the industry folk who firmly believe that there is no problem. And we follow Charlie, Jamie and their mentor Ben try to figure out how they can use what they've found out to their advantage. Did I enjoy The Big Short? Most movies that deal with topics related to investments or Wall Street usually don't bother explaining things in detail. 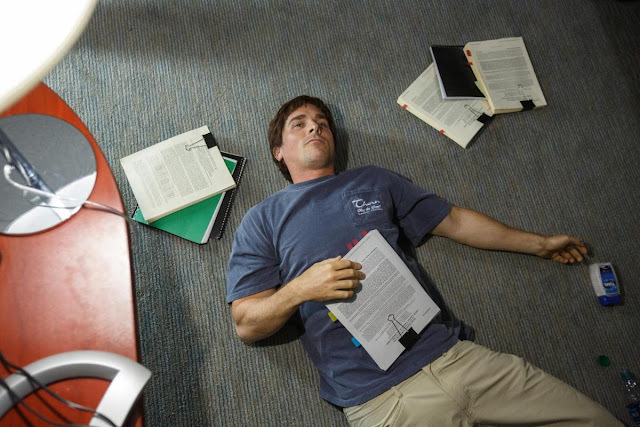 Take the Wolf of Wall Street (2013) as much as you learn how the Leonardo's character makes his millions through dealing in penny stocks it quickly moves away from the dull details to focus on his character's personality and lifestyle. Or the godfather of Wall Street movies Wall Street (1987) which although has two characters who work in an investment firms is a movie about two individuals and their relentless search for success, not the industry they work in. You learn more about how investors might use and manipulate not only information but the people they meet instead of how their investments actually work behind the scenes. Which is where The Big Short is different. The 2007-08 financial crisis was so convoluted that when it did happen no one knew what exactly happened. Suddenly the banks were losing money, investment banks and hedge fund managers were closing and traders were losing their jobs. The average man on the street found that they couldn't even withdraw their own money from their bank accounts. News started coming out that it was because of bad loans, that banks were lending money they didn't have to people who didn't have money to begin with to buy houses that weren't even built yet. Or that banks had mortgages on homes that no one lived in. It was a mess of explanations that no one could make heads or tails of. To have a movie tell the story of how it all happened and not bore the audience to tears and then to a deep snore would be an incredible challenge. 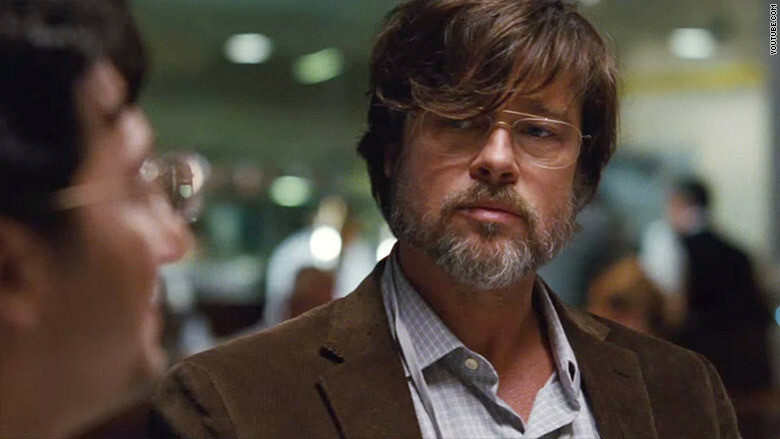 But pick up the challenge Adam McKay did, he not only read the Michael Lewis book but wrote the screenplay for it with Charles Randolph and directed it as well. And as the many reviews that have come before mine and the ratings on many movie sites will attest to it, he's done a pretty amazing job with it. First off it's a comedy but it's not a dark comedy like Wolf of Wall Street was and not as crude. The comedy is in the dialogue, in the banter and interaction between the characters. The comedy is also in the way the film is narrated. We are guided mostly by Ryan Gosling's character who quite often breaks the fourth wall and talks to us the audience. But it doesn't stop there, occasionally the other characters address us too. And that gave the film an unusual comedic element for a film like this. The other unexpected thing was how they dealt with how to explain things like subprime ratings, mortgage-backed securities (MBS) and collateralized debt obligations (CDO) which were done by having cameo appearances by Margot Robbie, Selena Gomez and Anthony Bourdain in scenes that had nothing to do with the current scenes. The explanations were done simply but it was enough for the audience to know what was going on. Then there's the visual style which was very much in the indie-documentary style with pretty heavy use of montage and scenes that are more symbolic than necessary to the story. Combined with a face paced edit the film which was 2 hours and ten minutes long went by pretty fast. And of course there's the cast. 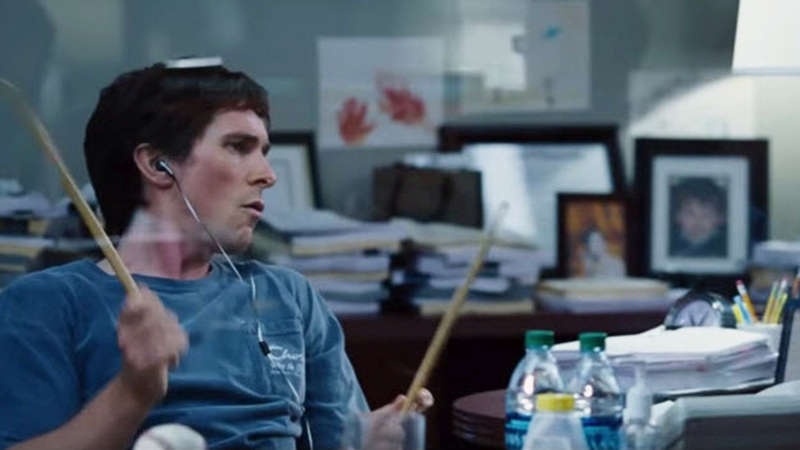 Although on the poster you see the four big named male leads in terms of presence I have to say Steve Carrell impressed me the most, next comes Christian Bale. Ryan Gosling does a pretty good job while Brad Pitt even though he's on the poster his character doesn't appear as often as the others does his usual good job. The thing to walk away from in this movie isn't in the comedy, isn't in the way it's been masterfully told considering the topic, nor is it in the amazing performance by the cast. Adam Mckay has done an amazing job on all fronts for sure but the thing to take away from it is that in the time that the crisis happened, ruined people, families, businesses, closed financial institutions and organizations even started the slow collapse of the economies of certain countries, from being put in book form to being made into a film, in the epilogue we learn that those same institution who were the cause of the crisis have just begun the process again. Honestly, if I were to say what were the must see movies of 2015 were in terms of importance of topic, this movie has to be near the top if not at the top. It's a movie that took an important event and all it's confusing details and manages to tell it in an entertaining and informative way. Not that many films managed to that last year. I can only think of Bridge of Spies. If you have the chance go check it out at the cinema, films like this are worth your monetary support. I'm giving this film a solid 4 out 5. BIG THANKS TO BFM RADIO FOR THE PREMIERE PASSES!